Where you a Captain in a former life? Or perhaps you fancy sailing the open seas? 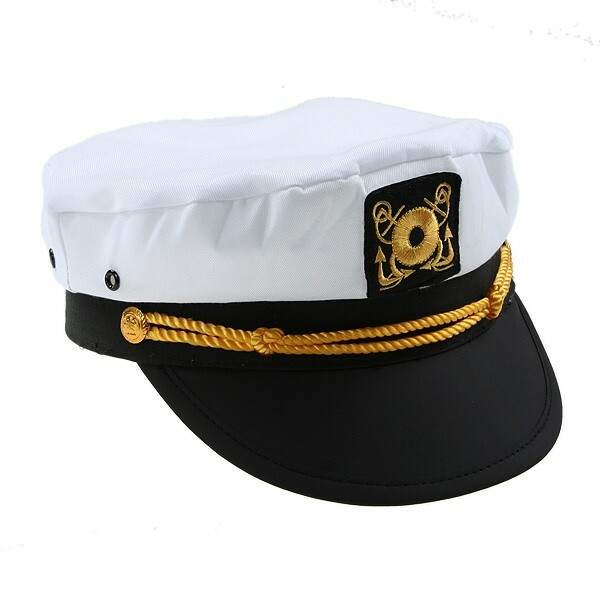 If this sounds like you then this Captains Cap is a must for your wardrobe! This white cotton cap features a black peak, and attractive gold braid and embroidered detailing and emblems. Sail the seven seas in style or your dingy on the lake. It makes the perfect gift for any maritime enthusiast or anyone in charge of a crew. It also makes a great addition to any box of costumes for a child’s dress-up play time. Customers can also purchase this product in store at the Wellington Museum.